Last edited by t4e; May 5th, 2009 at 12:22. 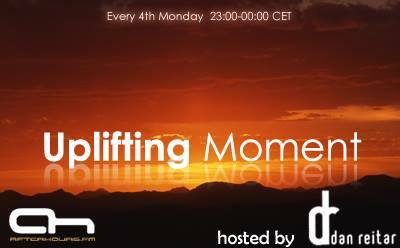 I hope you will enjoy this 11th edition of Uplifting Moment ! Last edited by Dan Reitar; May 4th, 2009 at 00:08. Damned you have a big house!!!! Love the start too. I've really been taking a liking to uplifting trance lately. i forgot this ID! and i just listened it last night. using software to mix this set?? ?